In 2009, a relatively new guy came on the political scene, threw down some shekels, and became the titular head of the Michigan GOP. We all knew he was a fraud, but money talks, and we all know the rest. And now, the first round of financial reporting is out for 2018. Candidates for Michigan’s top spot are starting to sort out, and the Michigan Campaign Finance Network has done a nice job of putting up some of their financial numbers fast. The heavy fundraising this early in the game goes to the usual suspects and one that stands out in a peculiar way, also hailing from Ann Arbor, but this time on the Democrat side. Thanedar, a businessman who lists himself as an entrepreneur on campaign finance disclosures, has loaned his own campaign $3.2 million so far this year. His campaign reported only one other contributor. That person gave $100. The Thanedar campaign reported spending $81,557 from when the committee formed in April and the campaign finance reporting deadline on July 20. Michigan is no stranger to self-funding candidates. In 2010, Republican businessman Rick Snyder contributed about $6 million to his primary campaign to help score the GOP nomination for governor. He went on to win the general election. I suppose the fantasy of every political wannabe in Michigan is to self fund the next Gubernatorial contest. The only other donation coming from a political strategist Walter Ludwig. Ludwig, a managing partner for Indigo Strategies in Washington DC has strong DC relationships, and the company he manages is self described as the “darkest shade of blue;” hence the name. Shri Thanedar for his part could have advised Mr. Ludwig to bundle that political windfall into five ‘power donations’ showing a broad base of support! Hell such an accomplished consultant should have been aware he was a singular motivator. Three million bananas however, even from the same grower is a lot of fruit. And Fruit that just sits there attracts a lot of flies. Every ad executive wanting to get some of those early campaign expenditures will have the ‘slumdog millionaire’s ‘ phones on auto-dial. I wonder however, if he will be answering? Is caution another word for advice, or more aptly used as a warning? Though he began populating the bank account with funds as early as April 6th, Thanedar’s largest donations to the effort came later in the reporting game, just in time for it to appear that he means business. Business indeed, and it must be good, right? Michigan politicians are now morphing into vending machines that cater to the highest bidders in Lansing and Washington. This explains the passage of the PA 192 – 197 Detroit Public Schools bail out over the objections of many outraged Michigan voters. An aspiring politician with personal wealth, but scant few political backers, decides to mount a successful campaign for office. This aspiring politician has no record of political success, so the usual Michigan political donors provide little or no up front funding to their official campaign finance committee. Nowhere near enough funding to mount the kind of aggressive, successful campaign the aspiring politician wants to run. What is this aspiring politician to do? The aspiring politician makes personal loans to their own campaign finance committee in whatever amount it takes to get elected. Should the aspiring politician not have the funds immediately available, a bank loan is arranged. Once elected, the now successful politician’s campaign finance committee starts receiving donations from all those PACs and individuals who are interested in guiding the politician’s votes and actions. The politician happily accepts this stream of funds from his new found political friends and then directs his campaign finance committee to repay all those prior personal loans. At today’s interest rates it is seriously low risk. Thanedar was living the entrepreneurial dream, and he wasn’t shy about it. He wrote a book about his life that was published in India, and he hoped to make it into a movie. 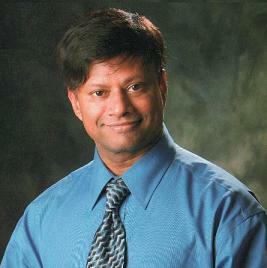 But Riggs is nonetheless upset with Thanedar over what has since happened to the company. Thanedar “fell in love with himself,” says Riggs. Thanedar drove a Ferrari. He built a $6.5 million, 13,000 square-foot mansion on three acres in Ladue. In happier days, Thanedar took a Show-Me St. Louis Channel 5 news crew on a tour of a house with seven bedrooms, a pool with seven fountains, an elevator, a 160-inch TV, a stage and dance floor. The interior was “like a cruise ship” he said, joking that all he lacked was an ocean. “We built it to be a party kind of place,” he said on television. He’s a wild and crazy, and just maybe .. a partying kind of guy. Who has had Bank of America chasing his prior and (current?) interests. Hey, everybody needs a place to dump their spare cash and a self-funded political campaign, which you loan to, is hardly a risk. Looks like he took some really good lessons from the Clinton's and Awan brothers. Watch for those Blackberry purchases. He's a deadbeat and, he should be deported back to India.